As your photographer, I’m devoted to capturing the timeless fairytale that is your wedding - and all those magical once-in-a-lifetime moments that will be part of your family’s story for generations. I craft photos that are poetic, elegant and vibrant. As my client, I will guide you through the entire process. 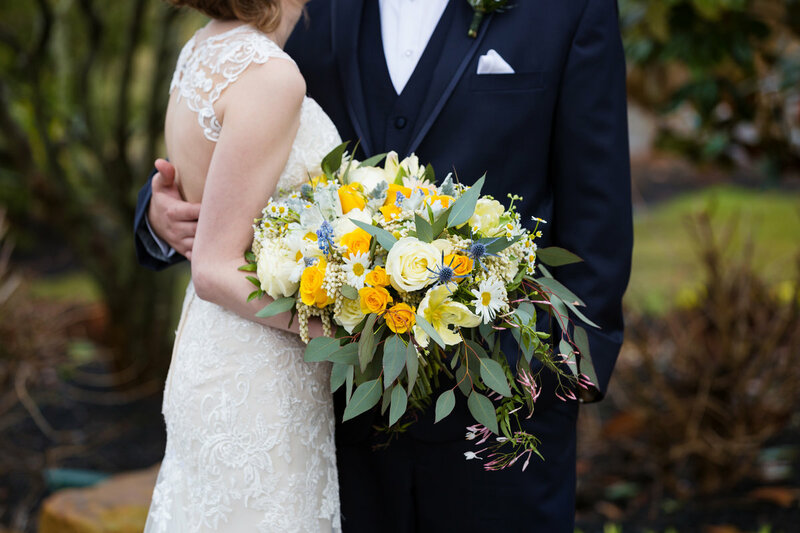 We will start with an introductory consultation to define your wedding vision, and then follow up with an engagement session (giving you material for your Save the Dates!) Then, we will stay in touch all along the way, collaborating on a timeline that ensures every special moment makes its way into a breathtaking photograph. And when it finally arrives, together we will tell the story of your unique day. 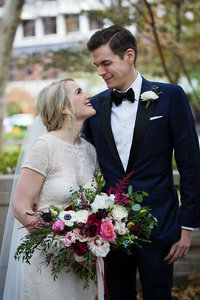 "When we first saw Mariya’s work, we were completely hooked on her aesthetic and knew we wanted her to capture our engagement session and wedding. We are so happy we did! Mariya is an amazing photographer. She made us feel so comfortable during our engagement shoot that we felt so well prepared for our wedding day. Mariya was so attentive during every step of the wedding planning process, even helping with outfit styling for our engagement shoot and sending us little positive notes along the way :) On our wedding day, Mariya was so calm and professional. When the weather took a turn, she was there with some umbrellas and captured what were some of my favorite shots. She truly gets a feel for the couple in shooting their special moments and the photos show her familiarity with her subjects. Thank you for everything, Mariya!" "Mariya was an absolute dream to work with! My husband and I had never done any sort of photo session before, so needless to say we were a little nervous going into the day. Mariya immediately had us feeling at ease. She is so much fun to work with and had us laughing immediately. She let us be ourselves, but guided us gently throughout the process and was encouraging the entire time. She captured so many beautiful moments without you noticing that you were being photographed the whole time. The sneak peeks were the best, allowing you to share some early special moments with your spouse and select family members. We were floored when we saw how many spectacular photos Mariya captured for us! We're still having trouble picking which ones to print - there are so many to choose from! We both highly recommend working with Mariya for your wedding or any other special occasion. She is truly talented!" "Mariya was fantastic to work with, she made us feel extremely comfortable, was willing and able to capture the shots we wanted and ones we wouldn't have thought of and we had a really fun time with the shoot. We were so happy with our photos. I would highly recommend checking out her work!" 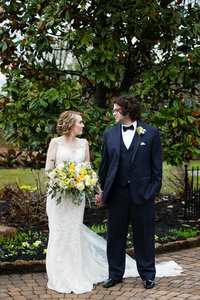 "Mariya was amazing with the quality of work she did for our wedding. She really has a great eye for taking amazing pictures. She picked out a couple of great spots before taking the pictures of me, my husband and bridesmaids/groomsmen and she really chose the best locations on the property. I also really enjoyed the pictures of all of us dancing. They turned out perfect. They were classic and timeless shots. Nothing was ever forced and the pictures weren't tacky. All the pictures were original and edited to perfection. She spent a lot of work editing things afterwards making everyone perfect, which I really appreciate. Mariya is worth every penny due to the great shots, great work, and great customer service. She was a pleasure to work with and I truly recommend her to anyone getting married because she will capture the best shots on your special day." "Our wedding was very last minute but Mariya was very flexible and made the day extra special. She was professional as well as kind hearted. I was hesitant at first to take photos but Mariya made myself and my whole wedding party feel comfortable. Her energy was great and she knew how to get the most perfect shots. 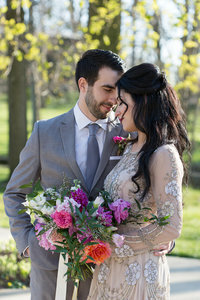 The pictures came out absolutely beautiful in the end...I am so glad I chose Mariya to help share my special day." "Mariya is an amazing photographer and knows what she's doing. She can work with you to get the best shots and knows how to pull off the most amazing poses with just the right pieces in the background to make the picture come to life. Her creative and artistic ability makes your shoots look like something out of a magazine. As a versatile photographer she can do an array of things, not just a one dimensional photographer! My husband and I loved our shoot ! Just breathtaking!!! And he's not even a model , but he felt comfortable with her direction and confident after!!!" "We had a great experience working with Mariya on a Fall family photo shoot. She handled the challenges of working with a crazy toddler very professionally and despite the difficulties in getting him to sit still-she managed to get some beautiful pictures. She made us feel at ease throughout and was extremely creative when it came to capturing natural candid moments." "I had the pleasure of working with Mariya for a family photo shoot this past fall. I am so pleased with the results! I truly did not have to do much but tell her my ideas and concepts. Mariya did everything from fashion consultation to helping me pick a venue for the photos! As a working mom, I felt that she helped me achieve a great photo shoot without the hassle of worrying. She was great with my children and dog! I really recommend Mariya for your special occasions or photography needs."